As an exercise there is no program that is as enduring as yoga. After being around for more than 5,000 years, the modern world is now finding out more and more about the huge and long-lasting benefits of Yoga. Yoga does more than burn calories and tone muscles. It's a total mind-body workout that combines strengthening and stretching poses with deep breathing and meditation or relaxation. 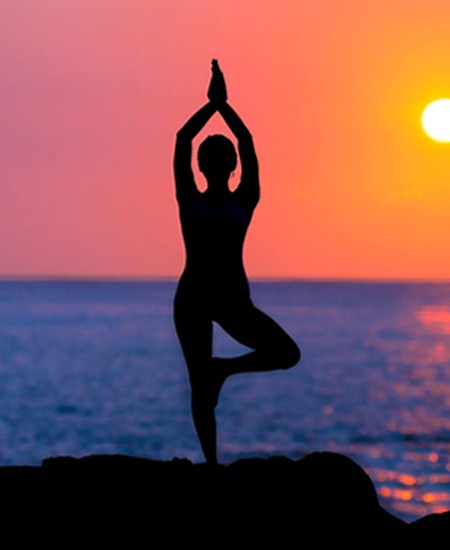 The relaxation techniques incorporated in yoga also help in alleviating major health conditions too. Yoga carried out under a qualified trainer can improve specific medical conditions like lowering blood pressure, reducing chronic pain, such as lower back pain and arthritis and headaches. It is known to significantly bring relief to those with the carpal tunnel syndrome. Quality Health realises that you will need good quality Yoga Training Centres to get the best benefits. So here in our site you will find only those Yoga Centres that have been validated by our team for Quality of Service and Safety.